Although Grant was the preeminent military hero of the victorious North in the Civil War, he was handicapped as President by his lack of political and governmental experience, as well as the corruption and incompetence of cronies and wealthy men he appointed to office. Nevertheless, he scored some achievements in foreign affairs, and won two terms in the White House. Until Theodore Roosevelt he was the youngest Chief Executive, aged 46, at the time of his first election. Grant was born in 1822 along the banks of the Ohio River at Point Pleasant, Ohio. He was christened as Hiram Ulysses, but he apparently later reversed the name. His father was a farmer-tanner who had immigrated from Kentucky. 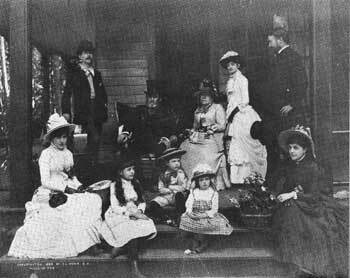 The year after Ulysses' birth, the family, in which he was the first of six children, moved to nearby Georgetown. There, Grant spent his boyhood, experiencing neither wealth nor poverty. He helped his parents on the farm or at the tannery, performed odd jobs, and earned a reputation as a horse trainer. Besides studying at local schools, he also briefly matriculated at academies in Maysville, Ky., and Ripley, Ohio. In 1839 Grant received an appointment to the United States Military Academy, but he entertained no plans for a military career and entered reluctantly. Because of an error, he was registered as Ulysses Simpson Grant, which he was to retain, though his friends always called him "Sam." He excelled in horsemanship, but was not too interested in his studies except for mathematics and received a number of demerits. Gradually, however, he came to enjoy West Point. He graduated 21st in a class of 39. Disappointed at not being detailed to the cavalry upon his graduation in 1843, Grant was assigned to the infantry at Jefferson Barracks, Mo., near St. Louis. While at that place, he met and became engaged to Julia Dent, sister of an academy classmate. The next year, he was reassigned to the Fort Jesup, La., area, and then joined Gen. Zachary Taylor's forces in Texas (1845-46). During the Mexican War (1846-48), though he considered it a needless conquest, he fought with distinction under Taylor and Gen. Winfield Scott in most of the major battles and emerged a first lieutenant. In 1848 he married Miss Dent; they were to raise three sons and one daughter. In the years 1848-52, other tours of duty followed at Madison Barracks, in Sackets Harbor, N.Y., and at Fort Wayne, in Detroit. Then, unaccompanied by his wife and infant son, Grant traveled across the continent to serve at Fort Vancouver, Wash. (1852-53) and Fort Humboldt, Calif. (1853-54). Although he gained a captaincy at the first of these posts, at both of them the lonely young officer, also bored and disenchanted with the Army, drank too much. Finally, after a dispute with his commanding officer, he resigned from the military service. A difficult 7 years followedyears of privation, menial pursuits, ignominy, limited prospects, and despondence-though Grant was reunited with his family and aided by his in-laws. Between 1854 and 1860, in the St. Louis, Mo., area he tried his hand at farming, selling firewood, real estate, and bill collecting, but prospered in none. In 1860 he moved to Galena, Ill., to work as a clerk in a tannery-leather store owned by his family. Although the Civil War (1861-65) brought tragedy to the Nation, it created opportunity for some men, such as Grant. It catapulted him into national fame and the Presidency. Rising quickly through the ranks from captain to lieutenant general and from leader of an Illinois volunteer company to the top Union command, he displayed remarkable aggressiveness and incisiveness, as well as an excellent mastery of organization and strategy. Grant first gained renown for his campaigns in the Mississippi River Valley. They culminated in the capture of Vicksburg, Miss., which split the Confederacy. Later, after Grant's victory at Chattanooga, Lincoln placed him in command of the Union armies and he established his headquarters with the Army of the Potomac. Taking advantage of his superior resources in men and materiel, he perfected plans for destroying the Confederacy by a coordinated offensive on all fronts. The war ended soon after the capitulation of Gen. Robert E. Lee's Army of Northern Virginia to Grant at Appomattox Court House, Va., in April 1865. When hostilities ended, Grant remained at the head of the Army; and won the title of General of the Army. Grateful citizens in the North presented him with homes in several cities and substantial cash gifts. Second in public esteem only to Lincoln, he was mobbed by crowds of people wherever he went. He escaped possible assassination at Ford's Theatre only because he and his wife declined the President's invitation to attend the performance. Grant's great popularity and the seeming inevitability of his capture of the Presidential nomination in 1868 created friction with President Andrew Johnson. When the latter tried to arrest General Lee for treason, contrary to the terms of Appomattox, Grant threatened to take his case to the people and forced Johnson to back down. Yet on most political matters the general tried to maintain a neutral positioneven during Johnson's impeachment trial. When the President had dismissed Secretary of War Stanton in 1867, Grant had accepted the position on an ad interim basis, but resigned when Congress refused to permit the dismissal. 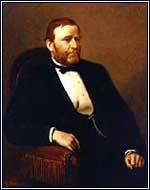 Both parties seriously considered Grant for the Presidential nomination in 1868. Although he had never affiliated with any party, he came to identify with the Radical Republicans. Nominated easily, he defeated Democrat Horatio Seymour, who made a surprisingly good showing despite his party's failing fortunes. For his second term, in 1872, Grant, the magic of his military reputation still persuasive, triumphed by a much larger margin over Horace Greeley, nominee of the Liberal Republicans and the Democrats. Grant was well trained to be a general, but ill prepared for the White House. Interpreting executive power narrowly, he looked to Congress or his advisers for guidance and offered no significant legislative program. Above all, he was unable to satisfy the need for a surcease from the turmoil of the previous decade. A key national issue was Reconstruction of the South. Ostensibly committed to Radical policy, Grant sometimes used military force to carry out the laws of Congress, which reflected Republican aims. On the other hand, he allowed southern white supremacists, the "Redeemers," to take gradual control of the governments of State after State in the former Confederacy. By the end of his second term, Reconstruction had largely ended. The problems of the Grant administration reflected the loose political and business morality of the period. Business interests frequently sought to dictate political policy while resisting governmental intervention in their practices; and party bosses gained inordinate influence through management of patronage and Federal disbursements. Grant naively introduced into his Cabinet and staff and took as confidants friends and wealthy men, many of whom turned out to be incompetent or corrupt. As a result, though Grant himself was personally honest, a series of scandals rocked his administration particularly during his second term, including the Credit Mobilier and the Whisky Ring. His private secretary, several members of his Cabinet, and some of those in his party in Congress were involved in highly illegal or improper acts. Although Grant took steps to control inflation, restore public credit, and stabilize the currency, he proved unable to manage the speculation, overexpanded credit, and wild business expansion of the era. These conditions helped create the Panic of 1873, when unemployment soared and many businesses failed. Profiting from the dismal economic picture and the administration scandals, the Democrats won the House in the following year, for the first time since 1856. 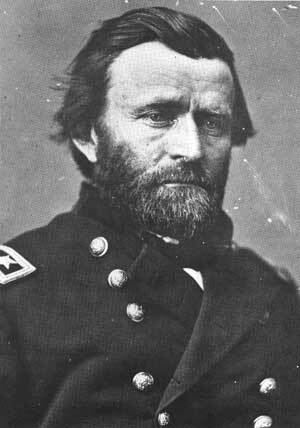 Responding to eastern reformers who objected to the brutality of the Battle of the Washita, Okla. (1868), and other mistreatment of the Indians, in 1869 Grant inaugurated his Peace Policy. Hoping to end corruption on the reservations and to provide the natives with examples of morality, he appointed church-nominated men, predominantly Quakers, as Indian agents. Military interference was forbidden on the reservations unless they requested it. But the program proved ineffective. Among other factors, the Indians resisted attempts to turn them into farmers and often made forays off the reservations, which inflamed settlers. At the same time, the Government proved unable to keep whites off the reservations. Grant achieved notable successes in foreign policy, executed by his capable Secretary of State, Hamilton Fish. The Treaty of Washington (D.C.) (1871) settled a series of controversies with Britain, the most prominent of which was the Alabama claims. By these, the United States sought reparations for damages inflicted on northern ships by Confederate raiders, which had outfitted in British ports. 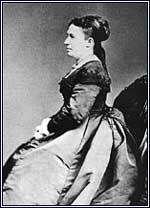 Grant and Fish also ignored provocations and avoided war with Spain during her suppression of a rebellion in Cuba. Grant tried to annex the Dominican Republic, but the Senate refused assent. A treaty of commercial reciprocity was negotiated with Hawaii that included a stipulation banning disposal of any of its territory to a third power. In the grave constitutional crisis and attendant threats of serious domestic strife that followed the disputed Hayes-Tilden election of 1876, Grant resolutely sought a solution that would preserve our constitutional form of Government, and turned over the reins of Government intact to his successor. About 6 weeks after leaving office, Grant, his wife, and his youngest son departed on a worldwide tour that lasted more than 2 years (1877-79), during which they enjoyed regal treatment and met many world leaders. Within the next few years, after returning to the United States and settling in New York City, Grant visited the West Indies and made three trips to Mexico, on personal, business, and governmental ventures. Meantime, in 1880, he had again sought the Republican Presidential nomination but lost it to James A. Garfield. Two years later, Grant entered a partnership in a financial firm at New York, but the enterprise failed in 1884. About that time, he suffered other economic reverses. While thus penniless and humiliated, Grant was stricken with cancer of the throat. To help his family, in a race against death, he frantically wrote his memoirs, a classic in their field that were to earn his heirs almost half a million dollars in royalties. In 1885, a few days after laying down his pen, he died in the summer cottage of a friend at Mount McGregor, N.Y., in the Adirondacks. He was 63 years old.